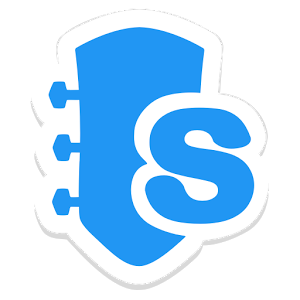 Songsterr is a tab app with instant access to 500,000 high quality guitar, bass and drum tabs & chords. – Huge catalogue of accurate tabs from Songsterr.com. Unlimited instant access to 500,000 tabs & chords. – High transcription quality. There is only one version of tab per song. – Legality. Music creators get paid. – Realistic Guitar Engine. Learn and play along with Songsterr. – Multiple Instruments. Most songs have tabs for individual instruments (guitar, bass, drums, vocal, etc). – Multi Speed Playback. Slow down tab playback to learn difficult parts. – Loop. Play back selected measures over and over again. – Offline Mode. View and playback previously opened tabs offline. – Solo. Hear just the instrument you are learning. – Count in. Gives you time to prepare yourself for playing after tapping Play. – History. Instantly access tabs you viewed recently. – Favorites. Quickly access your favorite tabs. – Favorites Syncing. Sign in with your songsterr.com account to synchronize favorites with website.